San Francisco voters will decide next month whether to approve an additional marijuana tax. Proponents of Proposition D say the highest-earning San Francisco cannabis businesses should pay extra taxes to support city programs, but some opposed to the opposition say how the money would be used and the effect on businesses and consumer spending habits remain uncertain. Others have no doubt. The proposition, supported by members of the San Francisco Board of Supervisors, would apply to businesses that earn more than $500,000 in recreational cannabis revenue, including businesses that are based outside of San Francisco but sell recreational marijuana in the city. Revenue beyond the $500,000 threshold would be taxed at a rate between 1 and 5 percent; the rate would be adjustable year-to-year by a vote of the board. The San Francisco Controller’s Office estimates that the tax could bring in up to $16 million a year beginning in 2021, the year the ordinance would take effect if passed. The proposition’s official support statement, prepared by Cohen, lists five different programs the tax would support, including “compassion programs for low-income patients” and “equity programs for business owners harmed by over-policing.” But the proposition states that the money would be deposited into the city’s General Fund, which can be used on a variety of city expenses from employee salaries to facilities maintenance. “I think we should try to move away from completely earmarking the budget,” Cohen said. 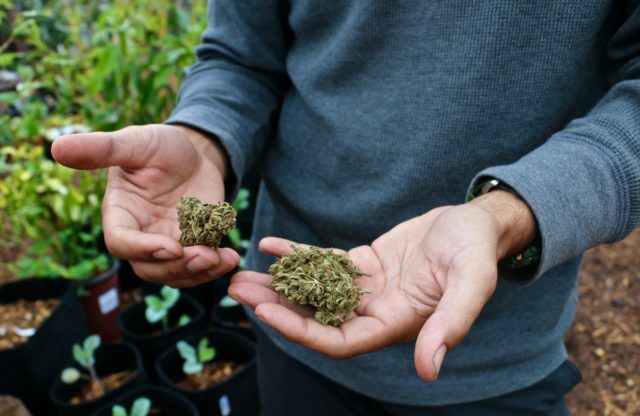 Daniel Orenstein, a UC San Francisco postdoctoral fellow who studies marijuana and cannabis policy, said this flexibility could allow the city to adapt to changing needs over time. “I don’t doubt that the supervisors have the intention to use the money as they’ve laid it out, but the way it’s written, they wouldn’t be obligated to do so,” he said. Under California’s Proposition 26, passed in 2010, tax and fee measures that specify how their revenues will be spent must pass with a two-thirds supermajority of votes. Measures that don’t specify how such funds will be used, like Measure D, require only a simple majority to pass. Tobacco companies pushed for that proposition after San Francisco created a fee to direct money from the sale of cigarettes toward the cleanup of cigarette butts and plastic packaging, said Stanton Glantz, a UCSF professor of medicine who has spoken out against the tobacco industry. In 2014, a San Francisco proposition to tax sugary drinks $0.02 per ounce failed to reach the required two-thirds supermajority. Two years later, a similar measure that directed money to the city’s General Fund did pass. The passage of the 2016 proposition on sugary drinks included the creation of the Sugary Drinks Distributor Tax Advisory Committee (without triggering the need for a supermajority) which monitors the effects of the tax and communicates with the city about how the money should be spent. That measure passed with 62.7 percent of the vote. “The public likes dedicated taxes a lot more than they like [them] going into a general fund,” Glantz said, though acknowledged that the two-thirds supermajority threshold was difficult to meet. Though Prop. D would not automatically create a similar committee for the cannabis tax, Supervisor Sandra Lee Fewer has proposed the creation of a cannabis oversight committee to play a similar role, Cohen said. The measure has also raised questions about how it might affect businesses and consumer spending behavior. Tobacco industry experts and public health officials have long studied how taxation affects smoking habits. Research shows that 60 to 70 percent of tobacco smokers make some kind of change to their consumption or participation habits when a new tax goes into effect, said Raymond Boyle, a University of California health policy researcher. Some quit. Others find cheaper ways to smoke. When it comes to marijuana, cities are carefully considering how tax hikes might prompt consumers to stop buying from the legal market and return to the illegal market, Boyle said. Richie Greenberg, a former San Francisco GOP mayoral candidate and the officially listed opponent to the measure, said that the city’s pledge to use the tax revenue to pay for specific programs is misleading. Let’s tax small marijuana companies but not billion dollar companies like Uber. Makes A LOT of sense. Sorry, for putting poor Uber in a bad light. I must have confused it with the other billion dollar ride sharing company spending money to not pay taxes. Excuse me.